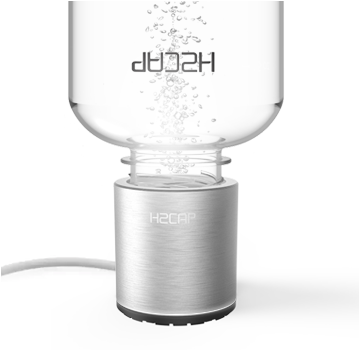 The H2CAP is a hydrogen water generator that comes in a compact size for the best portability. 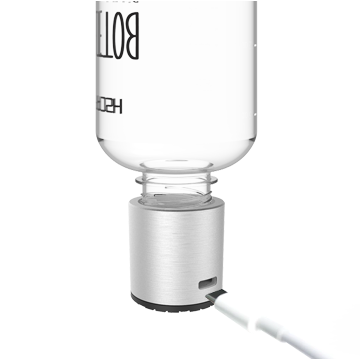 All you need with H2CAP is an USB cable and a 500㎖ bottle. By making use of the Platinum titanium electrode and platinum PEM membrane, the H2CAP is free of residual chlorine and ozone. 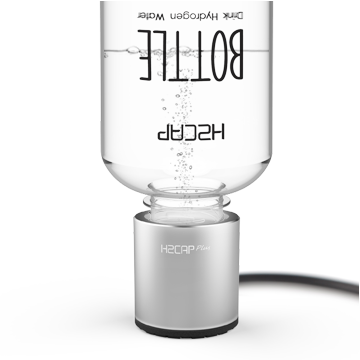 Plus, these allow the H2CAP to produce hydrogen water with 1,000ppb ~ 1,500ppb that can last longer. 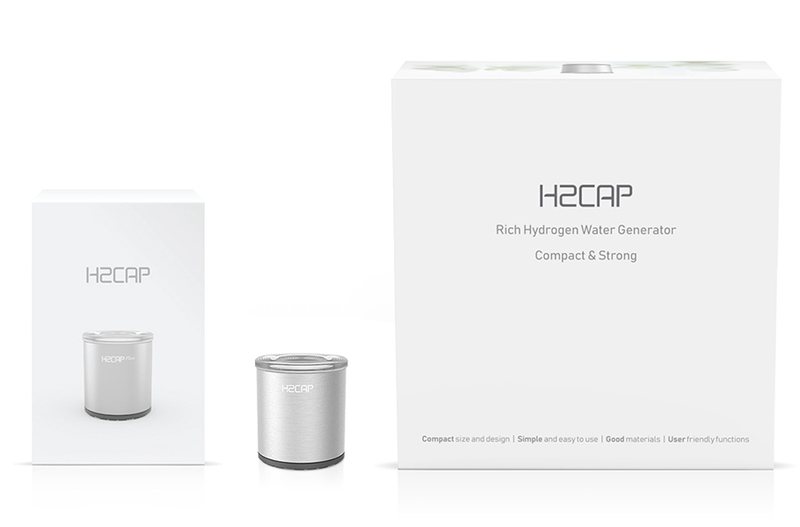 For the users to test its performance, the H2CAP package comes with the test kit that can measure the DH of the hydrogen water. For user convenience, additional accessories such as the Descaler and test reagent are available for sale. Use drinkable water only. Other beverages such as coffee, beer, and etc. may damage the product. To prevent the electrode plate drying out, store H2CAP with the upper cap closed. Do not use H2CAP when the USB port or the cable is wet. Do not disassemble or modify the product. Free warranties are not available once the seal sticker is damaged. Do not attach H2CAP too tightly to the bottle. Be careful not to damage the electrode plate and the membrane. Once they are damaged, leakage may occur and free warranties will not be available. Using without any water may damage the product. Clean promptly when notified with the cleaning alarm to maintain the best performance. Do not consume the Descaler or the reagent. Use water temperature lower than 50℃. Do not disassemble the bottom cap when not necessary. For supplying power, H2CAP is compatible with a variety of devices. Make sure to remove the white plastic plug at the center of the bottom cap. 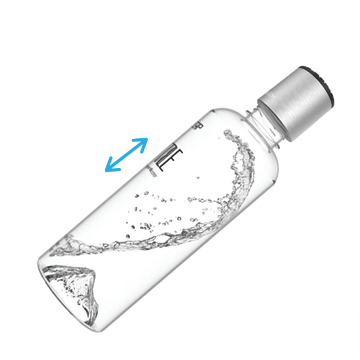 H2CAP comes with small amount of water on the electrode plate to keep the product moisturized. 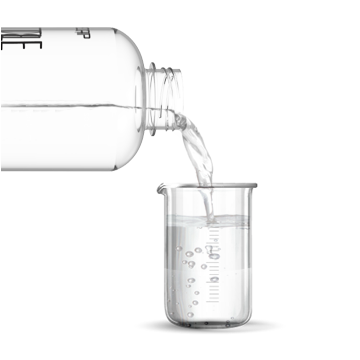 A Noise of hydrogen gas evaporation may occur upon opening the cap after producing hydrogen. Cleaning alarm: H2CAP automatically alarms you when to do the cleaning mode. 1. 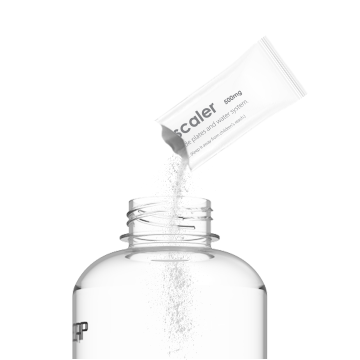 Insert one sachet of Descaler with 100㎖ of clean water and shake the bottle until the Descaler is dissolved into the water. Then, turn the bottle upside down. 2. Connect the USB cable and unplug it when the white LED goes off after 3 seconds. Then, reconnect. The cleaning mode will start automatically and turn off after 2mins. 3. Once the cleaning mode is completed, dispose the water and rinse 2 to 3 times with clean water. *Using other cleaning tools may damage the product. *Do not submerge the product in the water for cleaning purposes. *You may refer to our videos at for the detailed procedures. With water fully filled, attach the H2CAP to the bottle. Then, turn upside down as shown in the image. 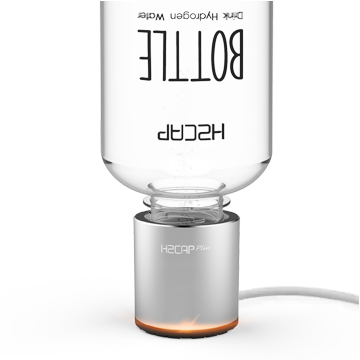 When the USB cable is connected, the H2CAP will start automatically to produce hydrogen water. Once completed, the orange LED will turn on. *If left not opened for a long time after the hydrogen water production, hydrogen gas pressure may cause small drops of water to come out from the bottom cap. *You may refer to our videos for the detailed procedures. Do the test with water temperature of 25℃~35℃. 1. Shake the reagent well enough before starting the test. 2. 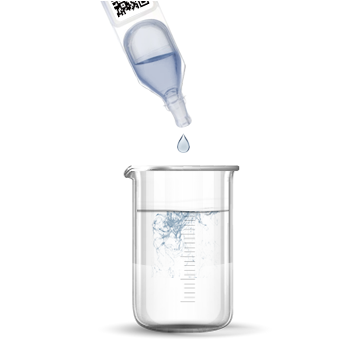 Pour the hydrogen water to be tested until the indicated line(6cc) of the provided test bottle. 3. Make 7 drops of reagent to the bottle. 4. If the reagent drops turn transparent, start adding 1 drop at a time. 5. The water contains 1,000ppb ~ 1,100ppb of hydrogen if they turn blue on the 11th drop. *Slightly shake the test bottle every time the reagent is dropped. *DH test results may vary depending on the environment. Use the hydrogen meter for exact results. *For more exact results, do the test after running the cleaning mode. *Do not reuse the reagent once opened. When storing for a long time, make sure to put a small amount of clean water and close the upper cap. When the electrode plate dries out or big bubbles start to show, brush softly with a wet cotton swab to moisturize the electrode plate. Then, do the cleaning mode before using the product. Keep the product away from high temperature. When assembling the bottom cap, carefully press the center of the bottom cap and turn it until it’s properly attached to the product. The product may not stand well when the bottom cap is not properly attached.